This is an area that touches quite a few nerves, especially in the in the south, where I live. 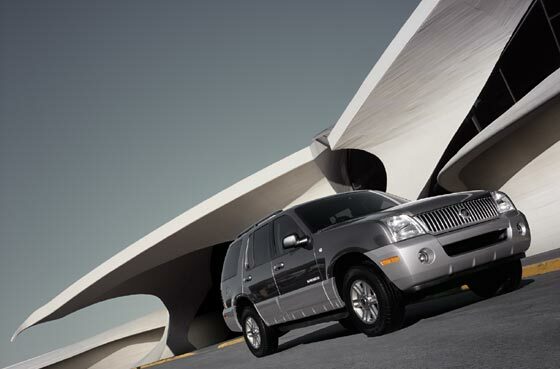 Here, like many other places across the country, it is trendy to drive a mammoth "Sport Utility Vehicle." I want to dispel the common misconceptions associated with the SUV. First of all, I want to point out that I do not hate all SUVs. I understand that for many, their line of work calls for heavy-duty trucks, etc. I also know that many people, myself included, enjoy off-roading in four-wheel drive vehicles, like my brother's '92 Jeep Cherokee. I have no problem with people driving around in trucks and 4x4s when they use them as intended. But ponder this, how many people would take their $48,000 Yukon Denali anywhere it could get scratched, or the leather seats might get dirty? I won't even take my $2,000 car where it might get scratched, of course it isn't an off-road vehicle. Many people think that SUVs are safer than cars. Well folks, I'd rather be in a late '70s Lincoln or Caddy in the event of an accident than an SUV, and I'll tell you why. Besides my late '70s prejudice, Lincolns, Caddilacs, Cougars, etc. from the late '70s have big long hoods, a definate safty plus. They also, unlike SUVs, have a low center of gravity, and are not prone to flip and roll around when turning at a high speed. If the accident happened to be my fault, the damage caused by my car would be much less than that caused by an SUV. This is because, unlike SUVs, my car is low enough to the ground that the other partys car wont be forced under my bumper or smashed into my trailer hitch. SUVs also have inferior braking distances. Oldsmobile Intrigues require about 131ft. 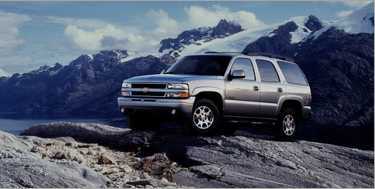 to decelerate from 60mph to 0 mph, where as the Chevy Suburban needs a whopping 155 ft. The Ford Explorer takes 150 feet for this braking maneuver and the Blazer comes in at 154 feet. Those 20+ feet can be very important in accident avoidance, an area where SUVs perform rather poorly. I wont soil my own nest by debating the economical or environmental ramifications of driving an SUV, but I will say that most of my driving is in a 30 mpg 1983 Honda Civic. This sharply contrasts the soccer-mom who drives her 11mpg Excursion to the grocery store for a gallon of milk. I work at Kroger, trust me, it happens all the time. I think its funny that I never Honda drivers complain about gas prices where as I always hear SUV drivers cursing OPEC while pumping that precious liquid. They should think of the fact that it is entirely possible to read a Russian novel while filling one of those monsters up. Lastly, it is just plain rude to drive an SUV. I mean, how many of us have had the misfortune of driving in front of one at night? Their headlights point right in the mirrors of our cars and blind us, even when they have the lows on. God help us if they have the obligatory fog lamps on. These Detroit dinosaurs also block our view of whats going on around on the other side of the hulking beasts. This is extremely annoying and socially irresponsible. My daily curse is when I have to turn right onto a highway on my way to work. At this particular intersection, the traffic going straight pulls up in a lane to the left of the right-hand turn lane. Because some trendy, granola sucking soccer mom always up beside me in her huge Yukon or Excursion, I have to wait for the light to turn green to make a RIGHT turn!!!! Please, if any one out there is considering an SUV, just get a station wagon or minivan. They are more economical, polite, and safe. There is nothing a two-wheel drive Strictly Urban Vehicle can do that a station wagon can't do better. These picture were taken from the Ford Motor Company and General Motors.